Open justice is a fundamental principle enshrined in our legal system and nowhere is it more important than when a court seeks to exercise the punitive powers of the State. As part of the process of judicial accountability, judicial officers are required to give reasons for the sentences they impose. In turn, sentencing decisions are often closely scrutinised by the media, interested members of the public, academics, legal practitioners and, of course, other judicial officers. In many ways the sentence that is handed down, together with the reasons for sentence, provide one of the few means by which the community, the victim and the offender are able to gauge whether justice has been done in accordance with the principles of consistency and fairness. Alternatively, is the process for determining sentence amenable to a staggered or staged approach where weight is given to certain specific factors first (sometimes leading to a notional or “otherwise appropriate“ sentence), and further weight is given to other specified facts (or factors) which assist in fine-tuning or adjusting the sentence (usually upward or downward) to produce the final sentence? What are the problems, if any, associated with a sequential approach of this kind? Is the instinctive synthesis approach really to be favoured and the two-tiered approach likely to produce error? 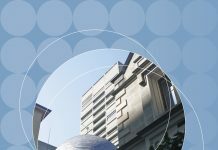 The following article traces the development of case law in Victoria and NSW, with some consideration also given to other jurisdictions, and critically explores the arguments for and against decision-making by way of instinctive (sometimes also referred to as “intuitive“) synthesis. 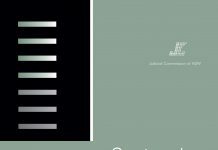 As the concept of instinctive synthesis is often presented as diametrically opposed to two-tiered (or two-stage) sentencing, the latter is also discussed. Finally, we conclude by expressing some of our own views on this topic. For the purpose of this article we do not distinguish between the terms two-tiered and two-stage (or other variants such as two-staged or two-step). These expressions are taken to describe the same concept and appear to be used interchangeably. However, it is difficult to derive an adequate definition, because, as the case law shows, the terms are used loosely and apply to a variety of situations. Two-tiered sentencing may describe the approach or method of reasoning adopted by a sentencing judge or magistrate when he or she first considers the objective circumstances of the offence (factors going to the gravity of the crime itself) in order to gauge an appreciation of the seriousness of the offence (tier one), and then considers all the subjective circumstances of the offender (often a bundle of aggravating and mitigating factors relating to the offender rather than the offence) (tier two), before deriving the sentence to be imposed. This staged process of reasoning may be described as the broad meaning of two-tiered sentencing. The concept of two-tiered sentencing also applies to a process of reasoning by which the sentencer first specifies a sentence regarded as proportionate to the crime or as otherwise appropriate to the circumstances of the case and then, by reference to a particular factor, proceeds to specify an amount by which that sentence is to be varied. A typical example of this is where the court states that it is reducing the sentence it would otherwise impose by a specified percentage because of an offender‘s guilty plea, or by reference to an offender‘s assistance to authorities or by both of these factors. This procedure is more overtly mathematical (particularly if a discount in the form of a percentage is specified) than the meaning described above and may therefore be defined as the narrow meaning of two-tiered sentencing. Sometimes there is a mix of these two approaches, and the concept of a”starting point” for sentence is employed as a basis for calculating the final sentence. The requirement is that the sentence is derived in staged or sequential steps, that is, weight is given to some variables first (usually, but not always, objective factors relating to the gravity of the offence) to derive the notional sentence and then to further variables to produce the final outcome. There are other examples of decision-making that could be described as involving at least two distinct steps or stages in sentencing. Difficult borderline cases in which the court contemplates whether to impose a custodial sentence may involve two steps. The first step may involve a choice relating to the type of sentence to impose: should the sentencer impose a sentence of imprisonment or a non-custodial sanction? The second step may then involve determining the length or quantum of the sentence to be imposed. However, as the objections relating to two-tiered sentencing do not appear to apply to any of these latter categories, they are not included in our definition of two-tiered sentencing for the purposes of this article. To date, there does not seem to be any clear or single definition of what constitutes a two-stage approach and as the case law shows, its meaning seems to vary according to the context in which it is applied. At times a two-stage approach involves a mathematical approach, such as an express percentage discount for one or more mitigating factors. Sometimes it means a process of reasoning involving the determination of a ceiling or starting point based on the objective gravity of the offence, followed by an adjustment for particular factors. Whatever else it may mean it does seem to involve the decision-maker arriving at one value or type of sentence first and then, either incrementally or in one further step, deriving the final sentence that is imposed. A process of sequential reasoning, sometimes criticised as being synthetic or artificial, seems to be an integral part of this approach. In contrast, the instinctive synthesis approach purports to derive the appropriate sentence by looking at all the relevant factors and sentencing principles, and determining their relative weights by reference to all the circumstances of the case. The balancing of all the relevant considerations takes place in a single step or synthesis, not sequentially. The specification of the amount of a discount for a guilty plea has become common practice. For example the guideline judgment in R v Thomson20 specifies a discount of between 15% and 25% ordinarily to be given for a guilty plea. In the High Court case of Cameron v The Queen21 (an appeal against sentence from Western Australia) it was open to the court to criticise this practice but it did not do so. The strongest statement of law regarding the error of the two-stage approach was expressed in R v Young, Dickenson and West.22 In this case the judge at first instance imposed sentences according to a methodology involving a two-stage approach. This involved determining the proportionate sentence, having regard to the objective circumstances of the crime, and then determining what he considered the appropriate sentence, by taking into account those factors personal to the accused. The validity of this method of sentencing was questioned on appeal. “WHAT FACTS AND CIRCUMSTANCES HIS HONOUR TOOK INTO ACCOUNT IN ARRIVING AT THOSE SENTENCES IS NOT ENTIRELY CLEAR BUT IT WOULD SEEM THAT, SPEAKING GENERALLY, HE EXCLUDED WHAT MIGHT BE DESCRIBED AS FACTORS PERSONAL TO THE PARTICULAR OFFENDER UNDER CONSIDERATION, SUCH AS PREVIOUS CONVICTIONS. HIS HONOUR DOES NOT APPEAR TO HAVE BEEN ENTIRELY CONSISTENT IN THIS PROCESS. The court quickly dismissed a suggestion that there was significant English case law to support the application of a two-stage approach to sentencing, finding that the problems of sentencing in England were different to those in Victoria.30 However, at least one commentator has suggested that there was very little by way of authority to support this view, or the court‘s attack on the course adopted by the trial judge.31 Indeed, while the court cogently pointed out that there was no authority requiring a judicial officer to adopt a two-stage approach to the sentencing task, this is not the same as finding binding authority that it is impermissible to engage in this line of reasoning. 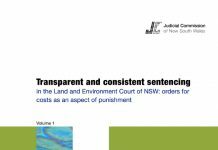 The practice has been accepted and commonplace for many years in NSW, and to suggest that it is calculated to lead to error is to challenge the validity of many sentencing decisions handed down in the past. Commentators have suggested that the reluctance of the Victorian courts to subscribe to any particular sentencing methodology stems from a concern that it will inevitably fetter judicial discretion. However, does a reference to instinctive or intuitive synthesis provide the judicial officer with any helpful guidance on how to approach the sentencing task? Is this really the best terminology to adopt? It is respectfully suggested that neither term may be appropriate. Rather, what is regarded as appropriate is that all relevant elements are taken into account when sentencing within the true context of the offence. That sentencing involves a synthesis of all the relevant elements involved in the punitive process is beyond dispute; the issue is whether a sequential approach involving a staged process of reasoning is likely to lead to error or whether the mysterious operation of the judicial officer‘s instinct or intuition bearing on all the factors at once is the only proper method for determining a just sentence. There will always be cases where a particular factor or consideration is difficult to categorise as subjective or objective. Individual sentencers may often take opposing views. However, this is not a fatal flaw of two-tiered sentencing, for, just as it is conceded that sentencing is not a purely mathematical exercise, there need not be absolute precision in categorisation. As long as each relevant factor is taken into account and given its proper weight, the resultant sentence should not be rendered inappropriate because it was treated as an objective rather than a subjective circumstance, or vice versa. In their remarks, the joint judgment also appears to disapprove of the practice of identifying a specific reduction for a plea of guilty. As Kirby J points out, judges often do make adjustments at a prima facie stage in the sentencing task and these should be explicitly expressed in the reasons for sentence. Legislation in NSW and other Australian States and Territories specifically demands such adjustments in certain cases. For example, when sentencing an offender a judge must take into account the fact that a plea of guilty has been made under s 22 of the Crimes (Sentencing Procedure) Act 1999 (NSW) and, accordingly, may pass a lesser penalty than would otherwise have been imposed.55 As Kirby J asks, how can the concept of “discount“ be thought of at all, unless a number or integer has already been conceived from which the sentencer can “discount from“? “WITH RESPECT, I REMAIN OF THE OPINION THAT WHERE A ‘DISCOUNT‘ FOR A PARTICULAR CONSIDERATION RELEVANT TO SENTENCING IS APPROPRIATE, IT IS DESIRABLE THAT THE FACT AND MEASURE OF THE DISCOUNT SHOULD BE EXPRESSLY IDENTIFIED. UNLESS THIS HAPPENS, THERE WILL BE A DANGER THAT THE LACK OF TRANSPARENCY, EFFECTIVELY CONCEALED BY JUDICIAL ‘INSTINCT‘, WILL RENDER IT IMPOSSIBLE TO KNOW WHETHER PROPER SENTENCING PRINCIPLES HAVE BEEN APPLIED. MOREOVER, IF THE PRISONER AND THE PRISONER‘S LEGAL ADVISERS DO NOT KNOW THE MEASURE OF THE DISCOUNT, IT CANNOT BE EXPECTED THAT PLEAS OF GUILTY WILL BE ENCOURAGED IN PROPER CASES, ALTHOUGH THIS IS IN THE PUBLIC INTEREST. 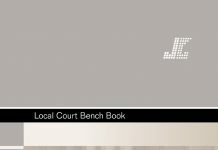 4.4 Where to now for the High Court? As pointed out by Spigelman CJ in R v Sharma,65 the judgment of McHugh J in AB v The Queen cannot simply be grafted onto the joint judgment in Wong v The Queen; Leung v The Queen to constitute binding precedent. The question arises, however, as to whether the issue will be tested before the High Court as a specific ground of appeal. In both Wong66 and Cameron67 members of the High Court sought to reserve the question of two-stage sentencing for a more appropriate case, where the issue was either specifically raised by a party or essential to answer the appeal. According to Gleeson CJ, this statement does not have to be taken as referring to a strictly sequential process of reasoning as judges are generally capable of entertaining two or more ideas at the one time. His Honour does not expressly disagree with this process of reasoning, but sees it simply as recognition of the relevance of comparable sentences in determining whether a particular sentence is excessive or lenient. Unfortunately, no more can be gleaned from this statement. It has been suggested that if the two-stage approach is addressed again by a full bench, it may well be rejected. 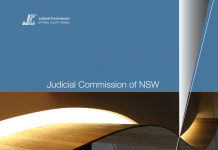 Until then, however, the NSW Court of Criminal Appeal will have to forge ahead with its own view of what the law is in NSW in light of existing practice and principle. 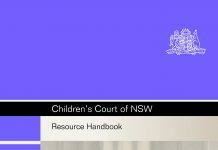 At the time of writing, the most definitive statement of the position in NSW is contained in the recent decision of R v Whyte,70 but before examining that case it may be useful to review earlier case law in NSW. The issue of two-tiered sentencing was also discussed in R v Lawson, Wu and Thapa.83 James J conceded that the two-tiered process, whereby a judge selects a provisional figure considered appropriate to the objective facts of the offence and then makes a deduction from that based on the personal circumstances of the offender, was not uncommon in relation to sentencing Commonwealth drug offenders. The Chief Justice took the view that two-tiered sentencing relates to a process of reasoning whereby the sentencing officer reduces an otherwise appropriate sentence, by reference to some particular factor. Based on the line of authority quoted by Spigelman CJ there appears to be a strong basis for the view that instinctive synthesis is generally accepted. However, as suggested earlier, this is subject to certain exceptions. Moreover, the court appears unwilling to find error where the two-stage approach has been employed, and the objective and subjective factors of the offence are considered at separate stages in the sentencing process. In R v Whyte,90 Spigelman CJ, with whom the four other members of the Court of Criminal Appeal agreed, reviewed what had been said about instinctive synthesis in the joint judgment of the High Court in Wong and began by observing that sentences must be individualised and this requires the exercise of a broad discretion “to ensure that all of the wide variations of circumstances of the offence and the offender are taken into account“. The passage in Valera appears to relate to a narrower two-step test to be applied in determining whether a case falls into the worst case category, rather than general sentencing principles. However, the reference to instinctive synthesis and comments made by Wood CJ at CL suggest the judgment may have wider implications. Although it is not entirely clear, it appears that the court has previously sought to distinguish a two-step test from the so-called two-tiered approach. Similarly, in R v Lett107 it was submitted that the trial judge fell into error when he said that the objective features of the offence should lead to the imposition of a life sentence. Counsel for the appellant argued the trial judge was wrong in excluding the appellant‘s mental disability from the objective facts of the case. Hunt CJ at CL found this submission was based on a misunderstanding of the concept of the objective gravity of the facts of the case. He found (Sully and Levine JJ agreeing), that it would be unwise to determine what sentence may be appropriate by having regard to the objective circumstances of the case and then considering how the mitigating circumstances would reduce that sentence. According to his Honour this was: “perilously close to what is described as the ‘two-tiered‘ approach criticised in R v Young“. According to the court this line of reasoning was unwarranted as it would multiply the possibility of error and inevitably increase the incidence of arguable appeal points. The debate about the two-tiered approach to sentencing has been further confused by the use of similar terminology in other contexts. For example, a two-step or two-stage process is used to describe the approach when determining whether a sentence other than imprisonment, or a suspended sentence, should be imposed. In R v Zamagias,109 Howie J (Hodgson JA and Levine J agreeing) set out the manner in which the court should approach the imposition of a sentence of periodic detention pursuant to the Crimes (Sentencing Procedure) Act 1999. His Honour found that when sentencing an offender to a term of imprisonment the court is required to undertake a number of steps before finally determining the appropriate sentence. A preliminary question is whether a penalty other than imprisonment is appropriate. The court should then determine the length of the sentence without regard to the manner in which the sentence is to be served. Once the term of the sentence is set, the court can then consider whether there is any alternative to full time custody.110 However, this process needs to be distinguished from the so-called two-tiered process as applied to sentencing generally. According to R v Zamagias,111 the legislation requires that two discrete steps occur when deciding whether to pass a suspended sentence. The two-stage approach to sentencing has not generally met the same hostility in other jurisdictions as it faced in Victoria. Even where the approach has been questioned by some judges, it has not been considered a sentencing error. The practice in these jurisdictions, as in NSW, appears to be quite different to that in Victoria. The two-stage approach to sentencing has also been adopted in South Australia. In R v Golding119 Wells J set out a number of considerations that appear to give support to the two-stage approach. His Honour stated that in sentencing an informant it is permissible for a judge to arrive at a sentence that would ordinarily be passed if no assistance had been given to authorities, and then to determine what, if any, allowance should be made for providing information. 7. A single correct methodology? At the time of writing, a majority of High Court judges tend towards the view that the two-tiered approach to sentencing is wrong in principle and should not be adopted. At least one commentator has suggested that the concept of instinctive synthesis may be adhered to generally while permitting certain discounts for particular mitigating factors, such as guilty plea or assistance to authorities. Indeed, this appears to be the view of the NSW Court of Criminal Appeal in R v Sharma.131 However, such discrete exceptions to the rule do not seem to be favoured by the High Court and it is not clear whether new categories of exceptions can so easily be added to the list and whether to do so will inevitably destroy the objection to two-tier sentencing. In contrast, Corns advocates that a more refined sentencing methodology than instinctive synthesis can and should be implemented. He states that one of the fundamental purposes of a sentencing methodology is to achieve an acceptable level of accountability. Similar to the sentiments expressed by Kirby J, he indicates that reasons need to be given so that the offender and the community know what the particular sentence is and how it was determined. Such a methodology needs to ensure some degree of consistency to the sentencing task,132 although the advocates of instinctive synthesis might argue that their methodology can achieve a consistent and just outcome intuitively. Corns concedes, however, that significant discretion must be left to the court when sentencing, so that minor adjustments may be made to the sentence based on the facts of the case. Such discretion allows the judge to make sure that the sentence is fair according to established principles. Indeed, although there are distinct disadvantages with a strictly two-tiered approach, it is respectfully suggested that there may be more than one way of legitimately approaching the sentencing task. Moreover, it would be unhelpful to limit the type of methodology available to the sentencing officer by reference to instinctive synthesis only. As illustrated by the trial judge in R v Young,133 the two-tiered approach, whereby objective and subjective factors are considered at separate stages in the sentencing process, is often helpful to judges who are being asked to take into account numerous elements regarding the offence and the offender. 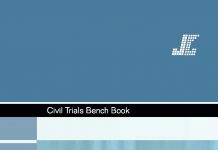 Although there are limitations to this approach, its basic premise may be of assistance to the courts. As emphasised by Gleeson CJ, the process of reasoning does not have to be strictly sequential. Judges are more than capable of entertaining different ideas at once. However, a judge who is forced to examine many competing elements all at once may feel overwhelmed by the accumulation of different factors. Requiring judges to give reasons may force them to exercise greater care in the sentencing task, and to fully assess their own underlying assumptions as to why a certain sentence may “feel“ right. Judges need to be flexible in their approach to the sentencing task, to ensure that every case is looked at in its true context and an appropriate sentence is formulated. However, the reasons for this process also need to be made clear if there is to be consistency in sentencing and confidence in the administration of justice. Finally, we are reminded of the words of Street CJ in R v Rushby:135 “it is cool reason, not passion or generosity that must characterise sentencing, as all other acts of judgment.“ “Cool reason“ does not sit well with intuition or instinct. While conceding that sentencing involves many imponderables and that a strictly mathematical approach to the determination of sentence is objectionable, so too, in our opinion, is a purely instinctive or intuitive approach to sentencing. In reaching the right decision, judicial instinct or intuition will play a part, particularly in cases involving a wide variety of incommensurable and often conflicting factors. These must be reduced or synthesised into a value that accords with the overall facts of the case, the applicable principles and the sentence imposed. While neither purely art nor science, sentencing will draw on both of these from time to time. Instinct and reason will work together in a way that will allow the sentence imposed to be amenable to rational explanation as well as to intuitively feel right. It is precisely because of the complexity of the sentencing process and the variability of the circumstances of each case that judges are given a broad discretion to determine sentence. We know that in most instances there is no single correct penalty but a range within which a sentence may be regarded as appropriate, hence mathematical precision is inappropriate. But this does not mean that proportionality, a mathematical concept, has no role to play in determining an appropriate sentence. The two-tiered and instinctive synthesis approaches both require the making of value judgments, assessments, comparisons (treating like cases alike and unlike cases differently) and the final balancing of a diverse range of considerations that are integral to the sentencing process. At the risk of offending supporters of instinctive synthesis, we suggest that two-tiered or sequential reasoning has the advantage of breaking down an often complex set of facts and principle into manageable components. This does not turn the decision-making process into a strictly mathematical exercise, but simply assists in organising thoughts and explaining how decisions are reached. In this way appeal courts are better able to assess whether the sentencer has given too little or too much weight to a particular factor. It enables decisions to be analysed, contrasted and compared in terms of their objective and subjective components. Thus, consistency of approach in sentencing is promoted and judicial accountability enhanced. Although we concede that sentencing does involve some instinct or intuition we would nevertheless prefer to see it expressed in ways that reflect the more conventional and palatable notion that sentencing is a human process, that it involves a discretionary exercise applied within the constraints of the judicial process and that the process requires the balancing of many, often conflicting, considerations or factors that cannot always be assigned individual weight. What matters is that all relevant considerations are taken into account, that proper reasons are provided for the sentence and that the sentence imposed is neither unduly lenient nor excessively severe. Accordingly, we see no harm in retaining a two-tiered sentencing methodology wherein the sentencing judge or magistrate determines the upper, and sometimes lower, limits of an appropriate sentence based on the notion of offence seriousness or objectivity (the outer range of proportional punishment) and then proceeds to fine-tune the sentence by reference to other considerations. These considerations should be identified if they tend to increase or reduce the sentence to be imposed. At times, but certainly not always, this may include specifying a discount for one or more variables. We prefer this to simply expressing the process in terms of instinctive or intuitive synthesis. The first approach is more consistent with notions of transparency, the giving of reasons and accountability; the second is more mysterious, idiosyncratic and less open to analysis. Some cases may be more amenable to a sequential form of reasoning than others. Similarly, some judicial officers may find two-tiered sentencing a useful method for determining sentence while others may not. While we favour consistency of approach we also agree that sentencing methodology should not be excessively rigid or artificial. It is important that the appropriate considerations are taken into account, that the correct law and proper principles are applied, and that the sentence imposed can be justified. Just as there is no single correct penalty, so too, we suggest, there is no single correct methodology. If this were otherwise, we would undermine or excessively restrict the important discretionary element of the sentencing process. Meanwhile, until such time as the High Court clarifies the situation, judicial officers will be left to undertake the task of sentencing, uncertain as to the validity of their approach. Until then, courts may best adopt the practice of reaching their decisions on the basis of instinctive synthesis in addition to any other method they may seek to employ. When new legislation136 introducing standard minimum non-parole periods becomes law in NSW, further consideration will need to be given to the issues raised in this article. These reforms link standard minimum non-parole periods with the middle of the range of objective seriousness of certain tabled offences,137 and departure from these standards must then be justified by reference to certain aggravating and mitigating factors listed under s 21A of the Crimes (Sentencing Procedure) Act 1999. A purely instinctive synthesis, single-tiered approach to sentencing will be increasingly difficult to reconcile with the requirements of this legislation. * At the time of writing the article. 1 (2002) 76 ALJR 79. 2 (2002) 76 ALJR 382. 3 In his recent paper on sentencing reform, Dr Neil Hutton expresses the view that instinctive synthesis comes from a variety of sources: from a sentencer‘s experience both as judge and as counsel, from the local working culture of the court, from the informal professional culture of the various branches of the judiciary, and from the training that judges receive. He also observes that such extensive discretion creates considerable potential for inconsistent sentencing: see N Hutton, “Sentencing Reform”, McClintock Memorial Lecture 2000, University of Strathclyde. 4 R v MacDonell  NSWCCA 34; see also the comments of Spigelman CJ in R v Sharma (2002) 54 NSWLR 300 where departure from the instinctive synthesis approach has been justified by appeal to the principles of statutory interpretation. 5 R v Valera  NSWCCA 50 at . 6 See, for example, R v Wong and Leung  NSWCCA 169 (decision remitted from the High Court); R v Ho  NSWCCA 379; R v Bolt (2001) 126 A Crim R 284; R v Sharma  54 NSWLR 300 at . 7  NSWCCA 373 at . 8 In R v Dursim (2000) 111 A Crim R 460 there is reference to “three stage“ sentencing. 9 See the discussion of suspended sentences below, p 11. 11 (1986) 23 A Crim R 433. 12 (1990) 45 A Crim R 147. 13 C Corns, “Destructuring sentencing decision-making in Victoria“ (1990) 23 Australian and New Zealand Journal of Criminology 145. 14 R v Williscroft  VR 292 at 300. 15 See the discussion of this in R v Thomson (2000) 49 NSWLR 383; Wong v The Queen; Leung v The Queen (2001) 79 ALJR 76; R v Sharma (2002) 54 NSWLR 300. 16 In R v Thomson (2000) 49 NSWLR 383 Spigelman CJ saw the two-stage approach as a process whereby a preliminary sentence is first determined and then “adjusted“ by some mathematical value given to one or more features of the case, such as a plea of guilty or assistance to authorities. Note also that this definition of the two-tiered approach was taken in Wong v The Queen; Leung v The Queen (2001) 79 ALJR 76 where the court looked at the two-tiered approach as singling out some considerations and attributing specific numerical or proportionate value to these features. 17 (1986) 23 A Crim R 433. 18 “4(1) A court in passing sentence for an offence on a person who pleaded guilty to the offence may take into account in fixing the sentence the fact that the person pleaded guilty. (2) If under subsection (1) a court reduces the sentence that it would otherwise have passed on a person the court must state that fact when passing sentence. 19 R v Morton (1986) 23 A Crim R 433 at 438. 20 (2000) 49 NSWLR 383. 21 (2000) 76 ALJR 382. 22 (1990) 45 A Crim R 147. 24 R v Young, Dickenson and West (1990) 45 A Crim R 147 at 150. 25 See the comments of McHugh J in AB v The Queen (1999) 198 CLR 111; Hayne J in Ryan v The Queen  HCA 21. 26 (1988) 164 CLR 456. 27 R v Young, Dickenson and West (1990) 45 A Crim R 147 at 157. 29 R v Young, Dickenson and West (1990) 45 A Crim R 147 at 157–158. 31 Corns, op cit n 13 at 150. 36 The views of members of the High Court are discussed below. 37 N Morgan, “Sentences of imprisonment; Instinctive synthesis and two-tiered approach: Punch“ (1994) 18 (6) Criminal Law Journal 53 at 55. 38 AB v The Queen (1999) 198 CLR 111 at  per McHugh J; Ryan v The Queen  HCA 21 at  per Hayne J; Wong v The Queen; Leung v The Queen (2002) 76 ALJR 79 at  per Gaudron, Gummow and Hayne JJ;  per Gleeson CJ;  per Kirby J; Cameron v The Queen (2002) 76 ALJR 382 at  per McHugh J; – per Kirby J. 39 (1999) 198 CLR 111. 42 AB v The Queen (1999) 198 CLR 111 at 122 per McHugh J. 44 The court added that, in addition to the breach of trust was the consideration that the accused had engaged in repeated acts of sexual abuse and was essentially leading a double life. The High Court confirmed, however, that even though all of these factors reduced the weight to be given to prior good character the appellant was nevertheless entitled to some leniency. 45  HCA 21 at . 46 Corns, op cit n 13 at 147. 47 AB v The Queen (1999) 198 CLR 111 at 122. 48 “No doubt at the conclusion of the process, the judge will check the sentence against other comparable sentences and may feel compelled to adjust the sentence up or down. But that is quite different from beginning with an ‘objectively’ determined sentence“: AB v The Queen (1999) 198 CLR 111 at 122 per McHugh J. 49 (2002) 76 ALJR 79. 51 (2002) 76 ALJR 79 at . 53 Ibid at  (footnotes omitted). 55 Note also that a judge must also take into account further offences admitted on a Form 1 pursuant to s 33 of the Crimes (Sentencing Procedure) Act 1999 (NSW), which will tend to increase the sentence that would otherwise have been deemed appropriate. 56 (2002) 76 ALJR 382. 57 See generally C Craigie SC, “General Advice to Legal Aid Commission New South Wales on Pleas of Guilty Following the Decision of High Court of Australia in Wong v The Queen  HCA 64“ (2001) Law Society Onlineat www.lawsocnsw.asn.au/practice/mews/ 187.htm>. 58 Cameron v The Queen (2002) 76 ALJR 382 at  per Kirby J. 59 I Leader-Elliot, “Editorial“ (2002) 26 (2) Criminal Law Journal 5. 60 vv M Bargaric, “Sentencing: The road to nowhere“ (1999) 21 (4) Sydney Law Review 597 at 609. 61 v Ibid at 608–609. 62 R Fox and A Freiberg, Sentencing State and Federal Law in Victoria, 1999, 2nd edition, Oxford University Press, p 196. 63 Cameron v The Queen (2002) 76 ALJR 382 at . 64 As quoted in Corns, op cit n 13 at 146. 66 (2002) 76 ALJR 79 at  per Kirby J. 67 (2002) 76 ALJR 382 at  per McHugh J. 69 (2002) 76 ALJR 79 at . 71 v Honourable Justice Wood CJ at CL, “Sentencing review“ (1999) 11 (5) Judicial Officers‘ Bulletin 33 at 34. 72″>72 Fox and Freiberg, op cit n 62, p 199. 73 (1991) 23 NSWLR 230. 74 (1990) 45 A Crim R 147. 75 In this case the sentencing judge had found that a period of imprisonment of 13 years was appropriate based on the objective circumstances. The trial judge gave a discount of 50% for assistance to authorities and the ultimate sentence was six and a half years. Counsel for the appellant argued that his Honour therefore must have left out all the relevant subjective circumstances. 76 R v Gallagher (1990) 45 A Crim R 147 at 230 per Gleeson CJ. It has been argued elsewhere that the approach in R v Young does not appear to have found favour in NSW: see R v Punch (1993) 67 A Crim R 46 at 55 per Murray J. 77 (unrep, 22/8/91, NSW CCA). 80 (1992) 58 A Crim R 345. 81 Ibid at 350 per Hunt CJ at CL (Smart and Grove JJ agreeing). 82 See Justice David Hunt, “Criminal Law Update – Court of Criminal Appeal“ (1997) 3 The Judicial Review 115 at 150. 83 (unrep, 12/12/97, NSW CCA). 84 (2001) 76 ALJR 79. 86 (2000) 49 NSWLR 383. 87 R v Sharma (2002) 54 NSWLR 300 at  per Spigelman CJ. 92 (1989) 167 CLR 348 at 356. 93  NSWCCA 343 at –. 94 “A sentence should not be less than the objective circumstances require“: ibid at . 95 (1991) 57 A Crim R 349 at 354. 96 R v Whyte  NSWCCA 343 at . 99 (1985) 2 NSWLR 466. 100 Citing R v Garforth (unrep, 23/5/94, NSW CCA); R v Twala (unrep, 4/11/94, NSW CCA); R v Fernando  NSWCCA 66; R v Harris (2000) 50 NSWLR 409 as examples. 101 R v Valera  NSWCCA 50 at . 102 (unrep, 23/5/94, NSW CCA). 104 R v Garforth (unrep, 23/5/94, NSW CCA) at . 105 (unrep, 4/11/94, NSW CCA). 107 (unrep, 27/3/95, NSW CCA). 110 According to the court, the preliminary question is whether there are any alternatives to the imposition of a term of imprisonment. Section 5 of the Act prohibits a court from imposing a sentence of imprisonment unless the court is satisfied, having considered all the possible alternatives, that no penalty other than imprisonment is appropriate. That is because a sentence cannot be suspended until it has been imposed. Having determined that there is no penalty appropriate other than a sentence of imprisonment the court is next to determine what that sentence should be: R v Foster  NSWCCA 215 at . This is the first step of a two-step approach to the imposition of a sentence of imprisonment: see R v Blackman and Walters  NSWCCA 121. Merely because a court has not expressly indicated it has taken the two-step approach does not mean it has failed to carry out the sentencing exercise in this manner: R v Saldaneri  NSWCCA 480 at . However, the nature of the sentence imposed and failure to record that a two-step approach has been taken may lead the court to carefully examine the finding made by the sentencing judge in order to determine whether the sentence is erroneous: R v Foster at . 112 (1992) 7 WAR 455. 113 Morgan, op cit n 37 at 55. 114 (1993) 67 A Crim R 46. 117 (1996) 91 A Crim R 1. 119 (1980) 24 SASR 161. 120 (2001) 126 A Crim R 137 at 140. 121 (2002) 76 ALJR 79. 122 (1992) 59 SASR 300 at 302. 123 (2001) 126 A Crim R 137 at 140. 124 (2000) 207 LSJS 431 at 465. 126 Fox and Freiberg, op cit n 62, p 198. 127 (1990) 50 A Crim R 41. 129 (1991) 102 FLR 465. 131 (2000) 54 NSWLR 300. 132 Corns, op cit n 13 at 155. 134 Leader-Elliot, op cit n 59. 135  1 NSWLR 594 at 597. 136 The Crimes Sentencing Procedure Amendment (Standard Minimum Sentencing) Act 2002 (NSW). 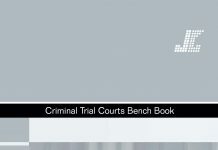 137 Crimes (Sentencing Procedure) Act 1999 (NSW), s 54B.